Sorry to hear you having issues. Don't get what the problem you're facing. Could you post some screenshots to help us understand the problem. I think he means that the colors in the preview does not match with the colors after the wb is applied. Did you set any color modification? Please set it back to none. Do you use Start10? Did you use that to change the start button? It is easier to see the problem if you can make a screenshot. Is the problem only on Start buttons? Or all over? Let say if you apply Win8 from Stardock. It has a blue taskbar and blue active frame. Will those items also change to yellow after apply the theme? Do you have dual monitors setups? Is the colors difference between those two monitors? 1. Open WindowBlinds and set the theme to Default and reboot. 2. Go to your Stardock My Downloads and download and run the latest WB setup and reboot. 3. 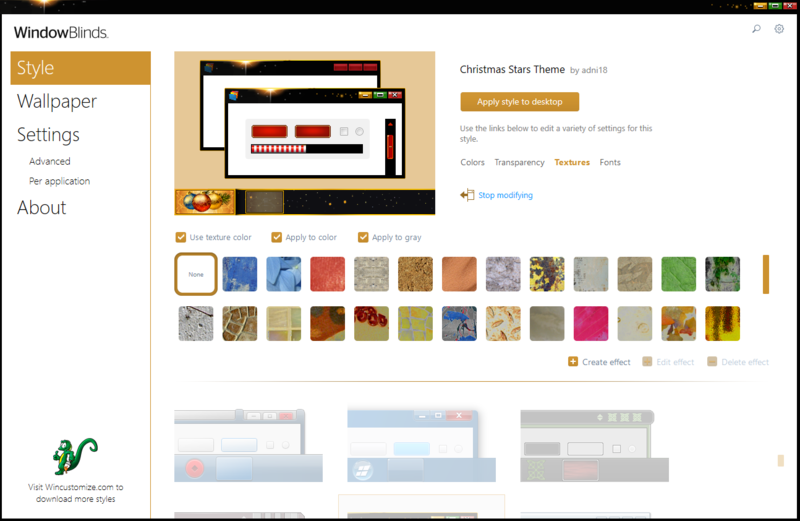 Try to apply a WB theme and see if problem is gone. So the problem only on Start button? All the other element such as window frames, Start Menu etc etc is colored correctly? 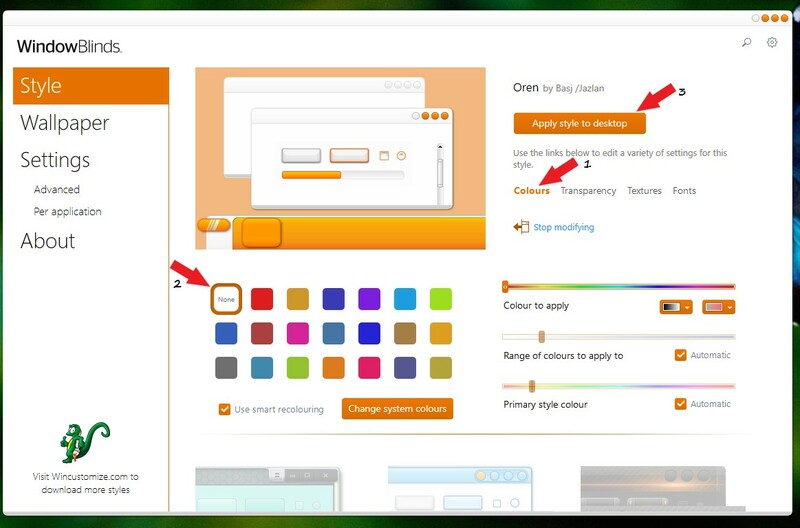 The start button and other button's do not change colors as the preview picture shows but some do change as they should but my other problem is that after clicking on the start button the back of the icons is a grey color and not the changed color which should happen when a new windowblind is installed. The easiest way is to use WindowBlinds modification. Some themes recolor nicely that way. 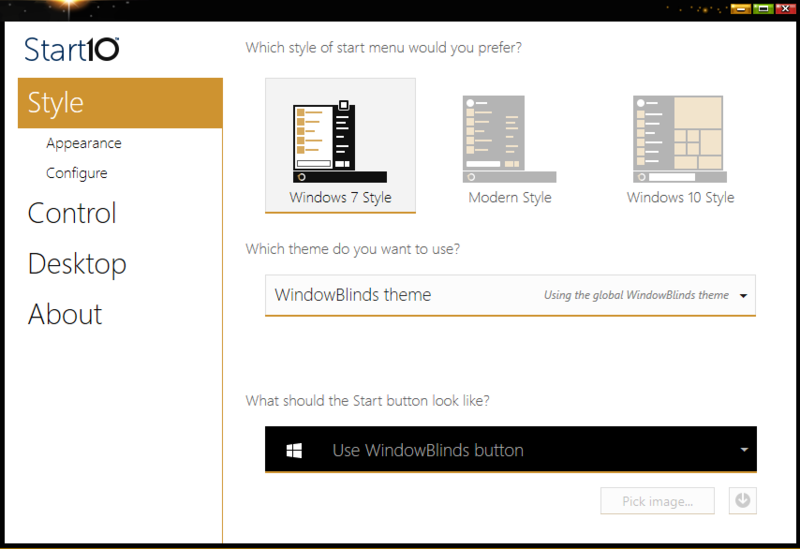 Just Open WindowBlinds and choose Modify Style (current theme). Go ahead and try it out you can always reset to the default. More intensive modifications require SkinStudio which is beyond my skills. I have a question what fixed the problem you were having?